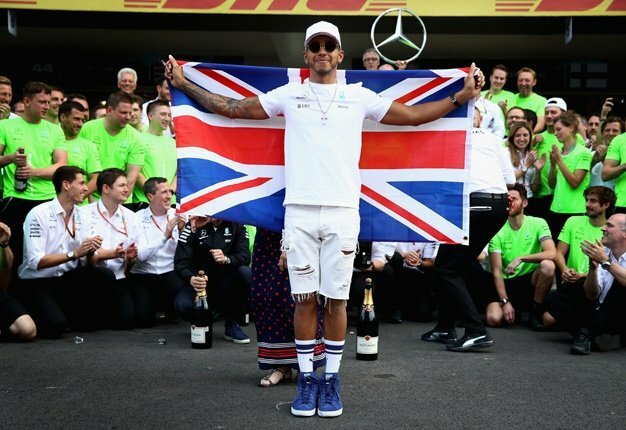 Hamilton is quoted by Speed Week: "I had a chance to do something with them individually. In the end it didn't happen." "I've heard some reviews and most of them were positive. I can imagine that it is a good thing for the sport." Wolff said: "The main reason was that I think it would have been a distraction in the title fight, especially as our main opponent did not cooperate. The inner circle of a team is a special environment that you need to protect. You do not want microphones hovering over your head and cameras pointed at you." just in case you‘ll need some @F1 action during the weekend.. ???? check out the new docu „Drive to Survive“ on @netflix..